America is a light rock band, most popular in the early and mid 1970s and now best known for their #1 hits "A Horse With No Name" and "Sister Golden Hair." 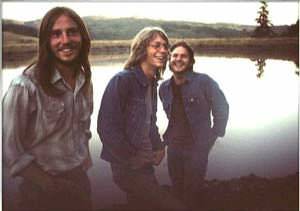 Comprised of Gerry Beckley (September 12, 1952 - ), Dewey Bunnell (January 19,1952 - ), and Dan Peek (November 1, 1950 - July 24, 2011), they were seldom a favorite with critics, but were exceptionally successful commercially selling both singles and albums. Despite the presence of other heavyweight acts like James Taylor and Rod Stewart on their roster, America was Warner Brothers Records' biggest selling act of the 1970s. .